Not The Stilt's best submission. 6 year and 5 months ago – 1MHz VRM Fsw. Nice work from the master himself ! VRM tuning seems to help nicely - thanks for the hint. Was this a 7.6G chip before? Go for the big 8 dude!! @ Massman: I´ve posted max CPU frequency results on three different 5800Ks. I am seeing around 100-300MHz improvement with the recent modifications. 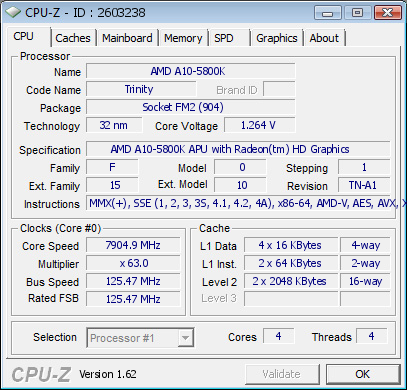 7.32GHz (from July) -> 7605MHz max. With a golden chip 8GHz+ is a fact. Live at Akiba? You're in japan? 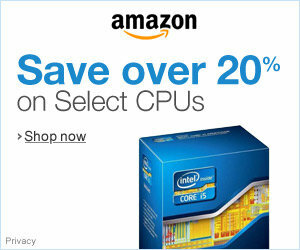 Thanks for the information on the CPUs, interesting to see such big gains on the older chips. Can you share the batch of the 7.9GHz CPU? Yeah, me and macci had the AMD OC Challenge 2012 venue at Akiba. FPSI: 2012 / 37 - Penang Malaysia, Line T (PGT) - Lot P/N F356-1K - Core PS0 Fuse 0x20h (1.35000V) - IMC PS0 0x3Ch (1.17500V), IMC Delta Fuse (0x2h negative). Oh - just found the blog: http://www.gdm.or.jp/crew/2012/1208/13803. Looks like boatloads of fun. Damn ... would've flown out for that event - flights to Japan are cheap from Taiwan now .